Don’t have time to travel the world, listen to international music, and experience all the colors this beautiful globe of ours has to offer? 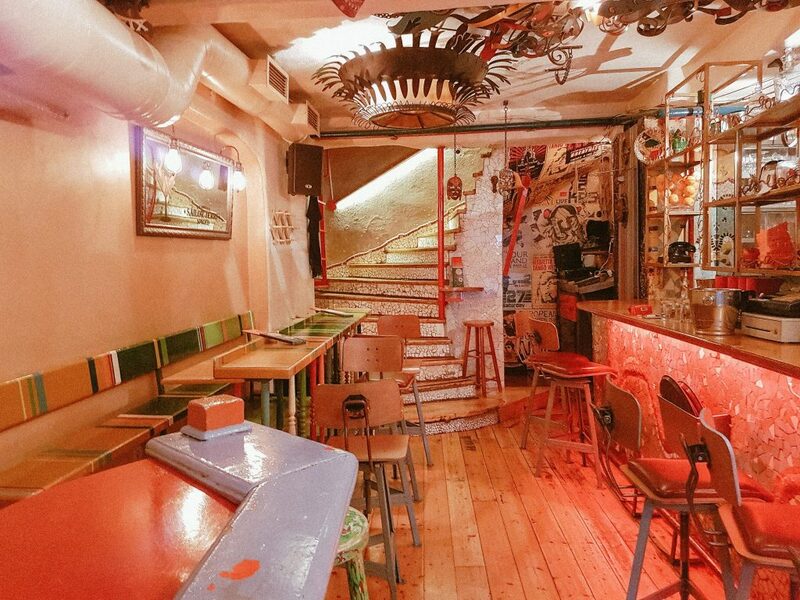 No worries – just heard over to Yfilios Bar Nationale in Thessaloniki, Greece and you’ll experience a quick trip around the world. 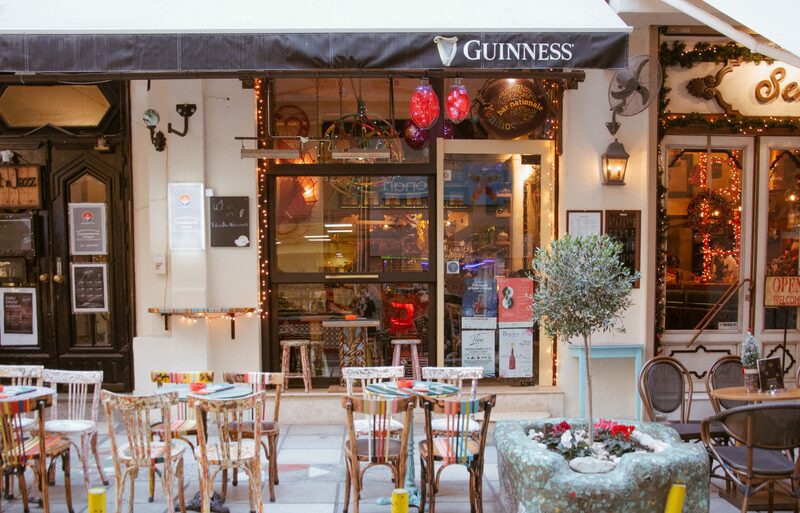 Yfilios, meaning “the world” is an alternative café/bar located on Proxenou Koromila Street, just a hop, skip and a jump away from the biggest square in town, Aristotelous Square. 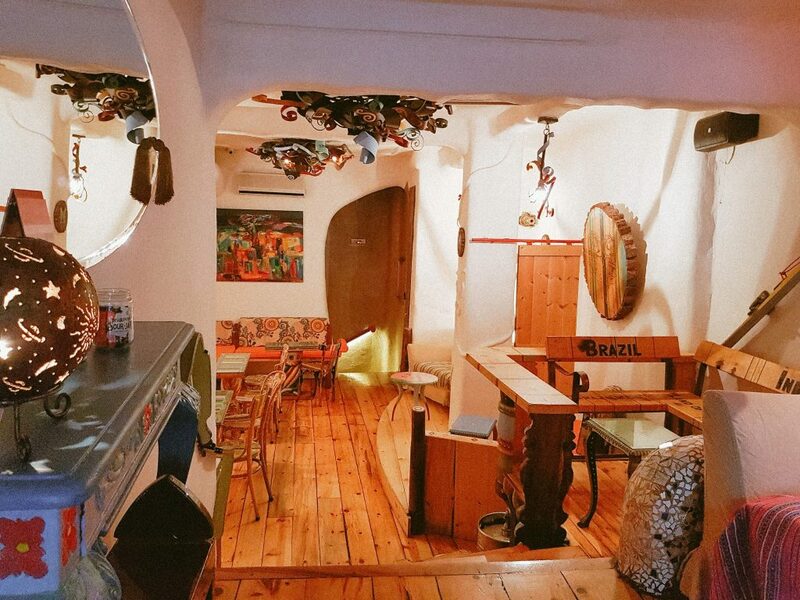 Nevertheless, once you set foot in Yfilios you’ll forget all about the noisy streets of downtown Thessaloniki and journey to a far far land. 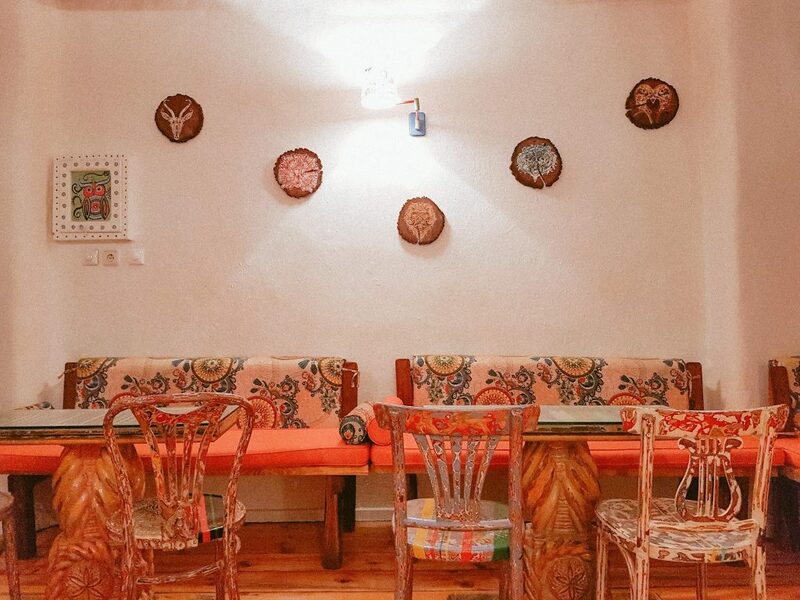 Whether it’s the ethnic colors and patterns decorated throughout the cafe, or the collage of people from around the world, every time I come to Yfilios I love discovering a new corner of the place. 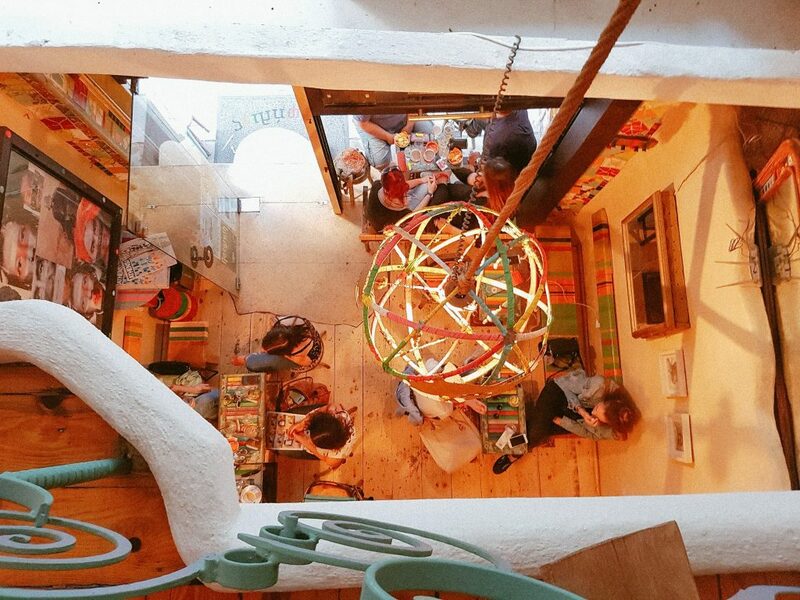 The upstairs area of Yfilios is perfect for working during the day with good Wi-Fi and exceptional coffee. Come back during the evening hours and notice the illuminated bar with a different DJ everyday playing music from all over the world. 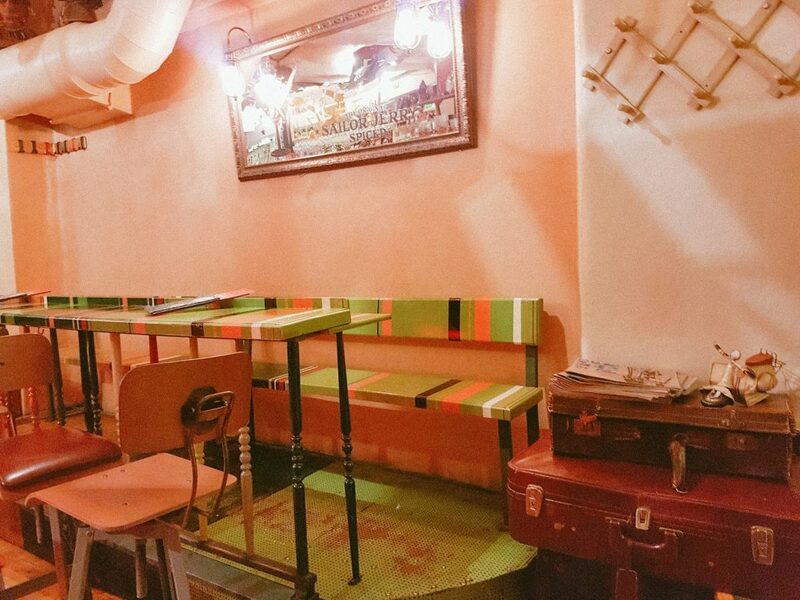 Their long list of selected beers and wines as well as their eclectic international cocktail list will leave everyone in your group of friends satisfied. Another pleasing aspect of Yfilios is that you can order delicious Italian pizza from The Last Slice which is right next-door, and they’ll bring it straight to your table. 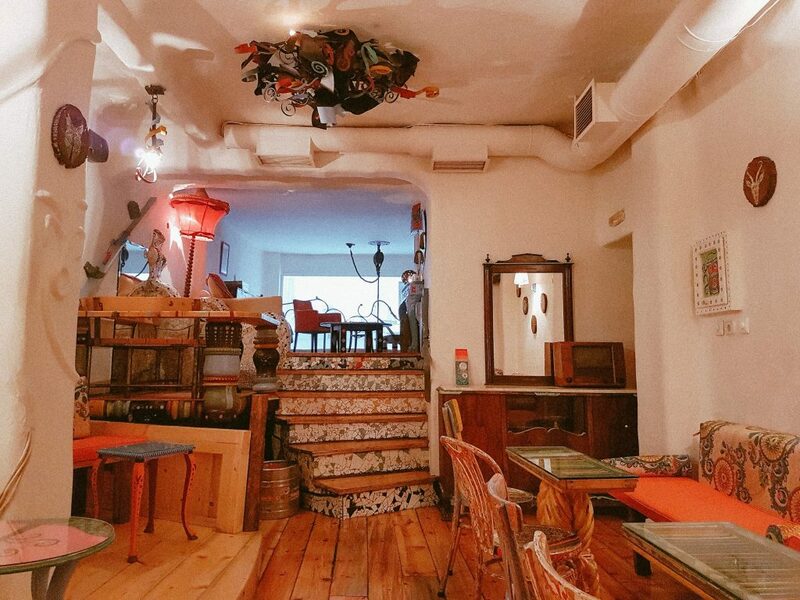 Yfilios Bar Nationale is definitely one of the most unique and eclectic cafes in Thessaloniki that should be visited by both locals and tourists! You can read more about my favorite spots here!